No More Deleting Your Favorite Games The Armor A60 allows you to easily free up the storage of your console's internal drive for Xbox and PS4. Just plug the A60 directly into your USB port on your Xbox or PlayStation 4 console and run through an easy setup process within just a few minutes, and you will have more space to store your latest games. Military-grade Shockproof & Water-resistant Armor A60 incorporates ultra-rugged rubber casing and internal suspension system, which enable perfect buffer effect and assure rigid protections against crushes, dust and spraying water. Cable-carry Design The innovative slot design is equipped for simple cable carrying and storing. Anti-slip, Anti-scratch Armor A60 exercises the special surface texture that can not only allow anti-slip function but also keep the drive from damages caused by fingerprints and scratches. Ultra-fast Transfer Speed SuperSpeed USB 3.0 interface enables blazing-fast speed performance to quickly transfer large files including HD videos, high-resolution photos and great numbers of documents in seconds. 3-year Warranty The Armor A60 is backed by a 3-year warranty that guarantees complete services and technical support. Please purchase our products at authorized retailers (which will show Ships from and sold by Amazon.com) or Silicon Power USA FBA store. Brand: Silicon Power | Manufacturer: SILICON POWER COMPUTER AND COMMUNICATIONS USA INC. 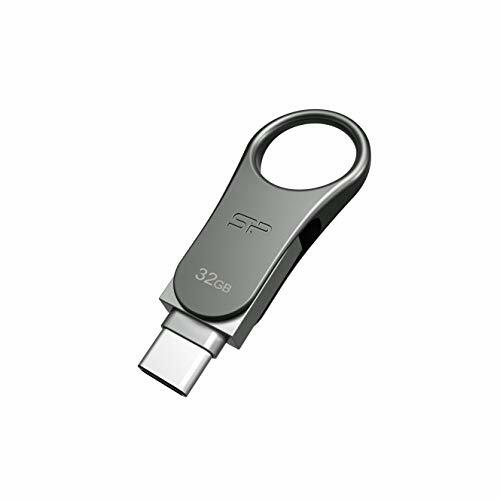 The Dual Flash Drive for Your Type-C Ready Devices Accommodating dual interfaces of USB Type-C and standard Type-A, the Mobile C80 lets you to transfer and share contents between new-generation devices with USB Type-C ports, PCs and Mac computers. 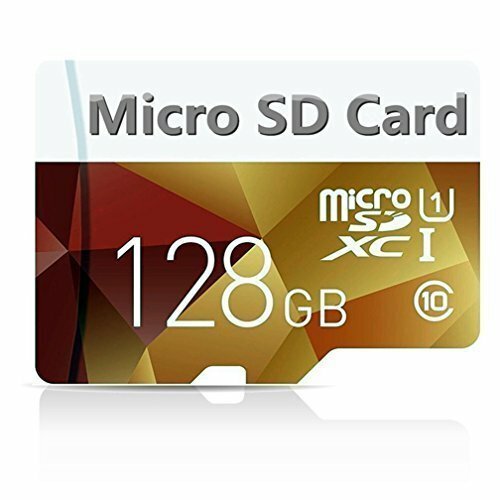 Instantly Add Extra Storage for Your Smartphones and Tablets The Mobile C80 offers up to 64GB to instantly expand the storage of your mobile devices that gives you plenty of room to backup photos, videos, music and important files. Easy File Transmission with No Interruption No more constraints of cables and Internet signals, you can get rid of traditional methods with the Mobile C80 to enable much easier and faster data backup and transmission. 360 Swivel Cap Design The Mobile C80 is built with a 360 swivel cap that can not only avoid cap loss problem but also protect the USB connector when it is not in use. And the ergonomic circular-shaped cap allows easier carrying for it can be perfectly fitted on a key chain. Robust Metallic Casing The zinc alloy casing features a sandblasting treatment that enables delicate touch and provides superior resistance to scratches and fingerprints. 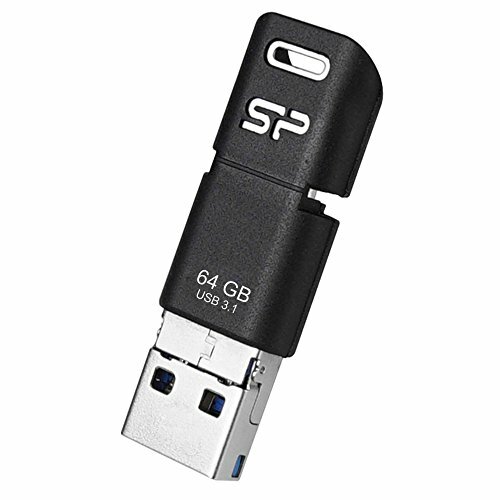 SP File Explorer App Manages Your Files Smartly The Mobile C80 offers the exclusive free-download App SP File Explorer, a file management app for your Type-C and Android Smartphone or tablet. The SP File Explorer App provides various intelligent functions including automatic file categorization and one-touch backup . * The software can be downloaded via SP official website. Lifetime Warranty The Mobile C80 is backed by lifetime warranty. *Please register your product via SP official website to get complete manufacturer warranty services, product support and more. Cable-carry design The innovative slot design is especially equipped for simple cable carrying and storing by which you can easily wrap the cables around the drive. 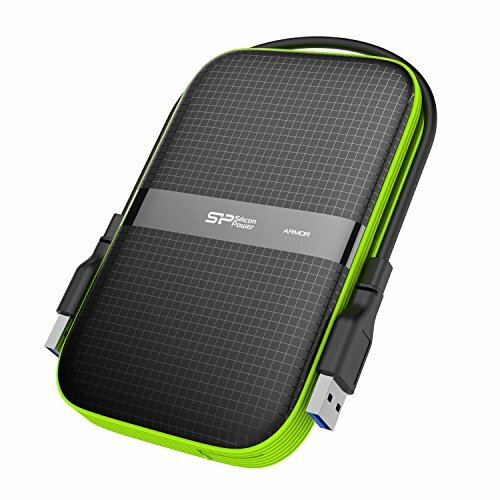 Comes with two cables - USB C & USB Type A, ideal for easy data transfer between your USB based PC and Type C enabled devices. Military-grade shockproof and IPX4 water-resistant protection. Cable-carry design for simple cable carrying and storage. Clever Cap Design for Protection and Longevity The Type-C connector is protected by a sturdy, yet highly elastic rubber cap that is ready to be snapped open over 10,000 times. And as it is firmly attached to the drive, there s no need to worry about leaving it behind somewhere. On the other end, the micro-B is protectively covered by the USB connector when not in use. Plug & Use No additional software required, you can just plug and play on any Type C enable devices as well as Android mobile devices. Compact and Easy Carry (yes, with the key hole) Its clever construction is not only made for perfect protection, but also for easy handling and transport. It s really compact and has a hole to attach it to key rings or bags. Fast Transfer speed, Short boot time Time to get rid of your old hard drive and switch to a SSD. Powered by SATA III 6Gbps interface, the S55 is able to boot up your computer and launch applications within seconds. With its affordable price, everyone can get old computers upgraded without spending a fortune. SLC Cache Technology for Performance Boost and Longer Lifespan The S55 especially applies the SLC Cache technology , the new caching architecture that combines both SLC and TLC flash blocks, which enables all data to be written in the SLC portion first and leads to higher peak writing performance. Additionally, such technology can reduce write amplification on the TLC portion and thus offer better endurance and longer lifespan of the SSD. 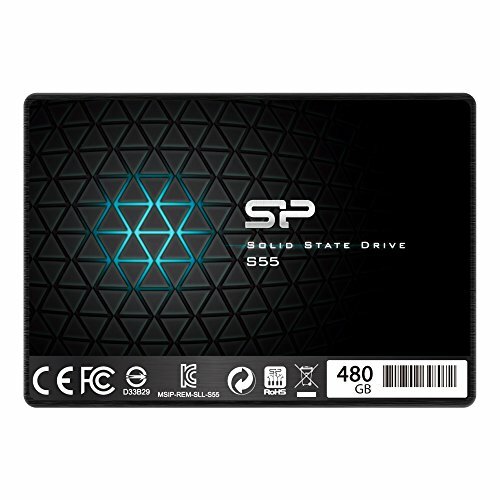 Absolutely Reliable with Bad Block Management The S55 is built with Bad Block Management, which can continually monitor and replace bad blocks to keep your system in good condition with prolonged lifespan of the SSD. Multiple Techniques Supported The S55 is one of the lightest and thinnest SSD of its kind yet it is shock- and vibration-proof since it contains no moving parts. Furthermore, S.M.A.R.T. monitoring system and ECC technology are built to promise higher data transmission safety. 3-year Warranty The Slim S55 is backed by 3-year warranty. *Please register your product via SP official website to get complete manufacturer warranty services, product support and more. High read/write speeds up to 500MB/450MB/sec. Brand: SP Silicon Power | Manufacturer: SILICON POWER COMPUTER AND COMMUNICATIONS USA INC.
Nexcopy introduces the all new Secure Digital Cloner / Wiper or the SD Card Cloner / Wiper, the SD400PC. 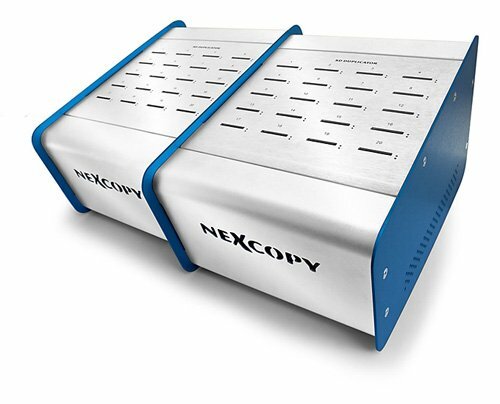 With advanced copy features, small foot print and simple operation, the SD400PC is an economical solution for data loading and data distribution to SD flash memory. Easy as a photocopier. With advanced software features and friendly user interface, copy 40 blank SD cards, simply and automatically. No "copy-n-paste." No single card data loading. No hassles. The SD400PC is a high performance, PC based flash memory card duplicator. SD Duplicator - 40 Target with adapter cards. Copy, Copy Add and bit-for-bit copy functions. Select Bit-for-Bit binary copy from a Master device. Perform a Short Image copy or Full Image copy. Will capture bootable code and great for Ext2 and Ext3 Linux packages. Full binary bit for bit Verification feature. Toggle ON or OFF. Software includes detailed performance feedback during copy process. Data Collection to extract content off drives. Great for schools and universities.